The company was founded in 1994 by David Lortscher, based on the principle that when an organization establishes honesty and integrity as its foremost characteristic, success and profitability will naturally follow. Seven years after its inception, the company incorporated as Timberdoodle Inc, project management business. The company promptly leased a modern, spacious building on Despatch Drive in East Rochester, New York. It features both an attractive office environment as well as a large workshop and warehousing area for full-service response to customer needs. The new headquarters is conveniently located near major arteries, making theFIRM’s servicing of local clients responsive and efficient, while also offering easy access to the Rochester International Airport. Some of the most accomplished Project Managers and Installers in the business have eagerly joined rapidly growing, highly successful operation. 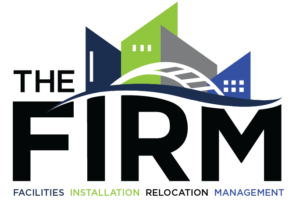 theFIRM has a large, experienced, highly capable workforce that can service large-scale, complex projects wherever they might exist. We enjoy an impressive client base of well-known national and international clients. Our company has quickly become one of the preeminent installation, management and relocation companies in the market. we enjoy a nationwide reputation for prompt and efficient response, highly ethical business practices, and a commitment to full customer satisfaction. Management has never lost sight of the attributes that contribute to success. As the recently company enters its 21st year of existence, it still holds true to its founding principles of honesty, integrity, and a desire for 100% customer satisfaction.